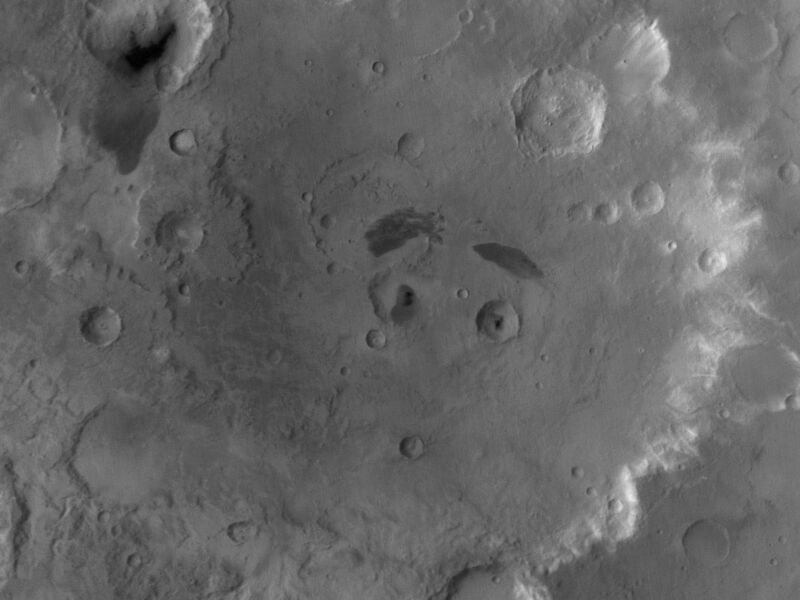 This red wide angle Mars Global Surveyor (MGS) Mars Orbiter Camera (MOC) image shows Tikhonravov Crater in central Arabia Terra. 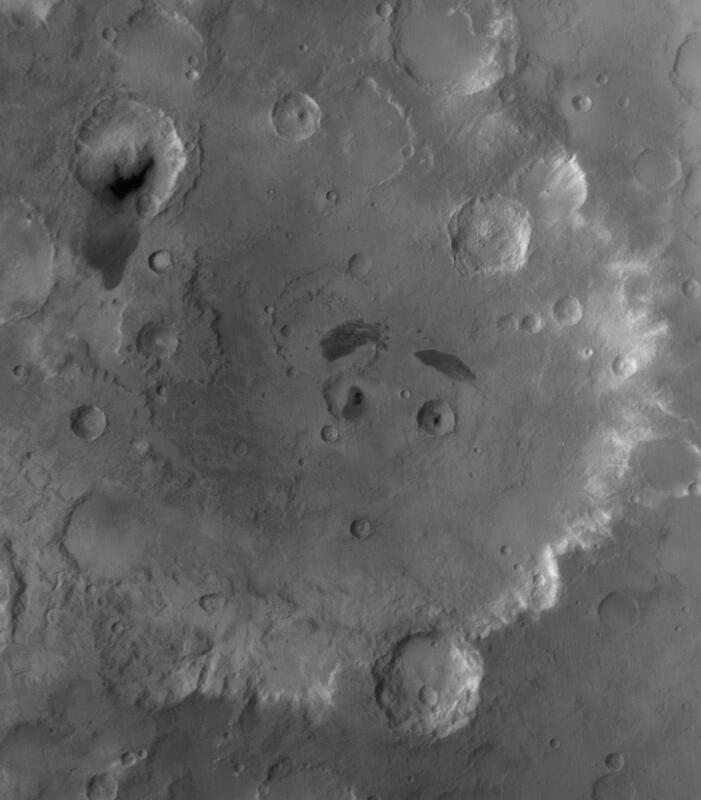 The crater is about 386 km (240 mi) in diameter and presents two impact craters at its center that have dark patches of sand in them, giving the impression of pupils in two eyes. 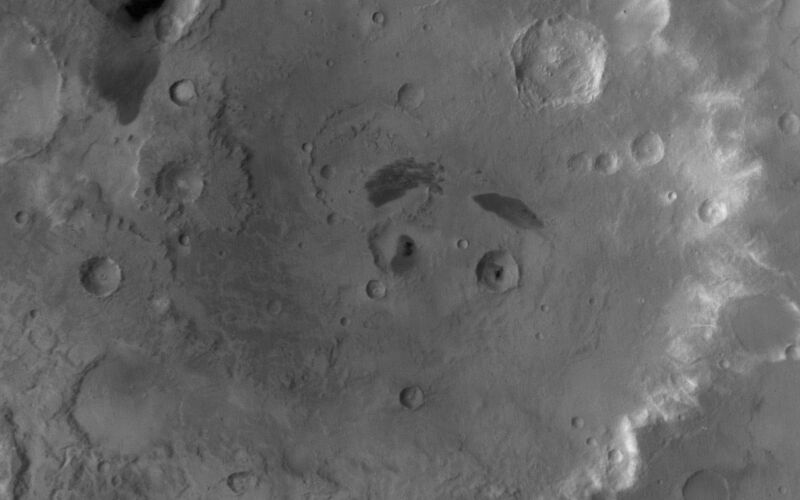 North (above) each of these two craters lies a dark-toned patch of surface material, providing the impression of eyebrows. M. K. Tikhonravov was a leading Russian rocket engineer in the 20th Century. 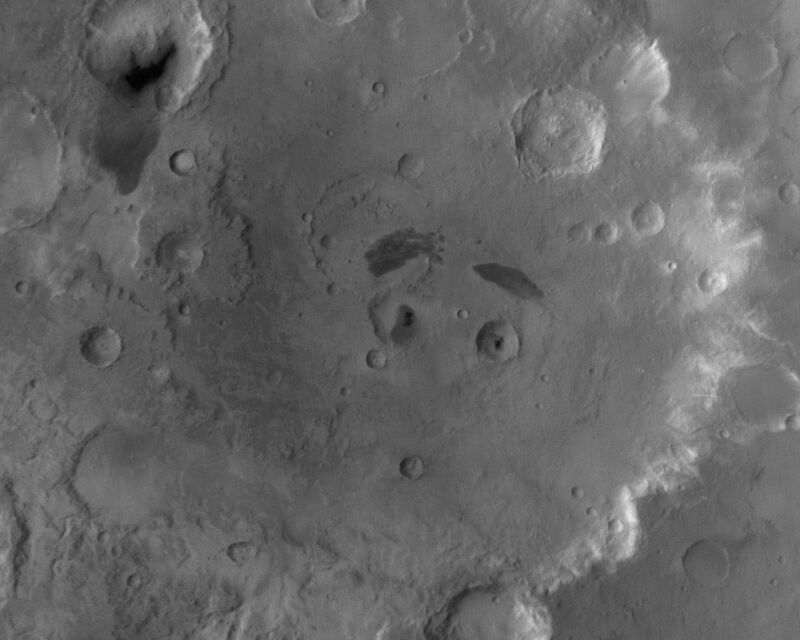 The crater named for him, despite its large size, is still partly buried, on its west side, beneath the heavily cratered terrain of Arabia Terra. The center of Tikhonravov is near 13.5°N, 324.2°W. Sunlight illuminates the scene from the upper left.